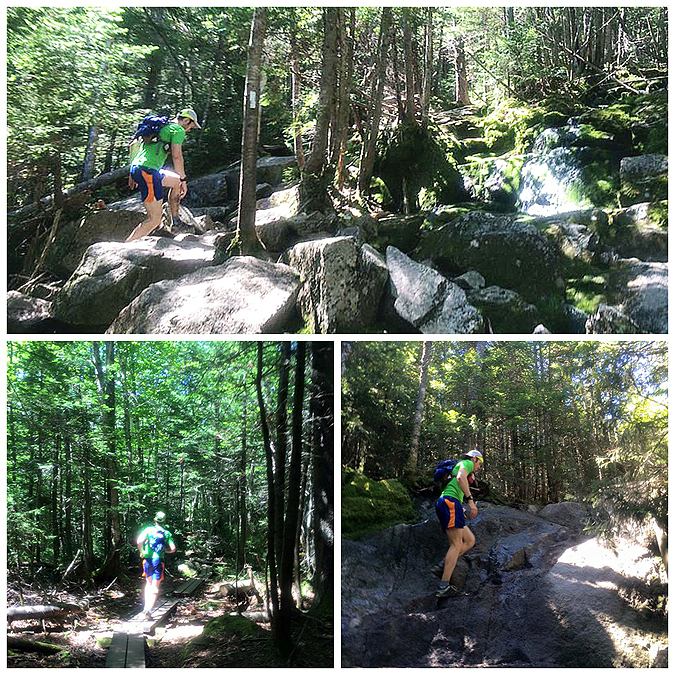 - After missing out on last year's MMD 50K (MMD = More and More Difficult) with a bad back I was thrilled to be healthy and able to run this years course through Franconia Notch. Bob Najar, 'MMD Bob,' organized the logistics for the route and assembled a crazy group of ultra-runners to tackle the nasty terrain below and along the Franconia and Kinsman ridges. 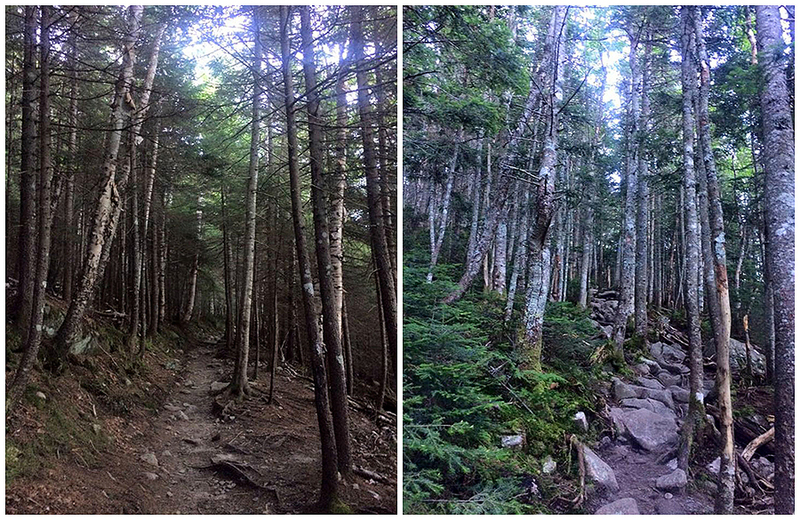 - The weather for MMD was absolutely perfect as we started out at 6 a.m. up the Falling Waters Trail. 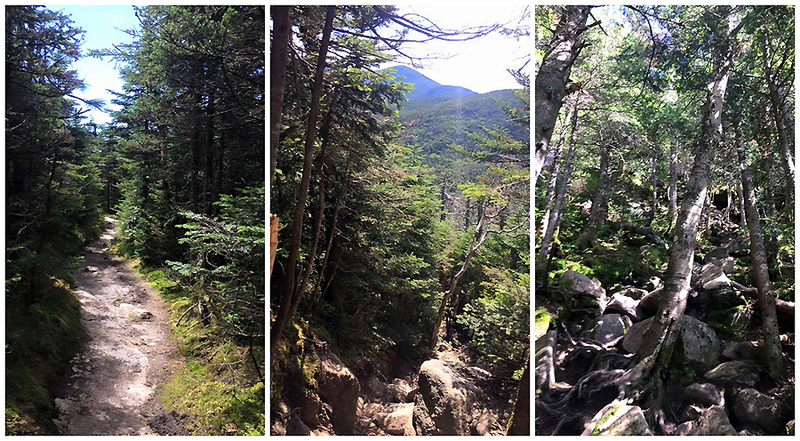 Tim, Kelsey, Kehr, and Jeff set a pretty fast pace through the lower end of the trail as we passed by Staircase, Swift River, and Cloudland Falls. 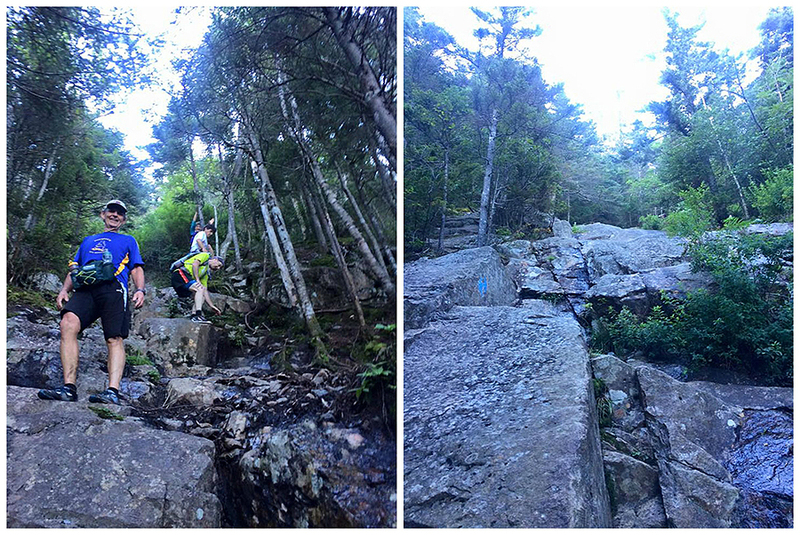 I kept them in sight until Cloudland Falls when I throttled down to a strong hiking pace with Andrew and Jason just a little bit behind me (both grid finishers, and Andrew has hiked the A.T.). - My strategy for the day was the following, keep a steady pace ascending but never push it, and go all out on the descents through the first half of the day and the last part of the second half of the day through the Cannon Balls. 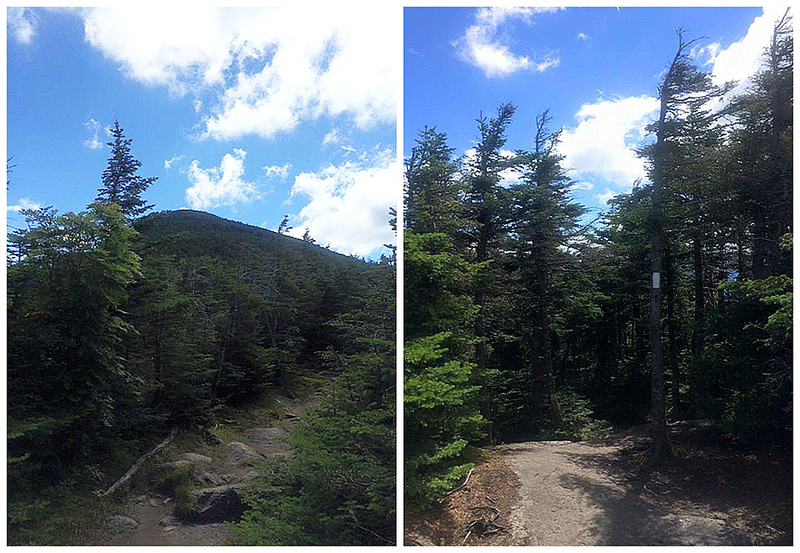 - Once past Cloudland Falls I made my way up the long switchbacks and eventually up to treeline to Little Haystack. 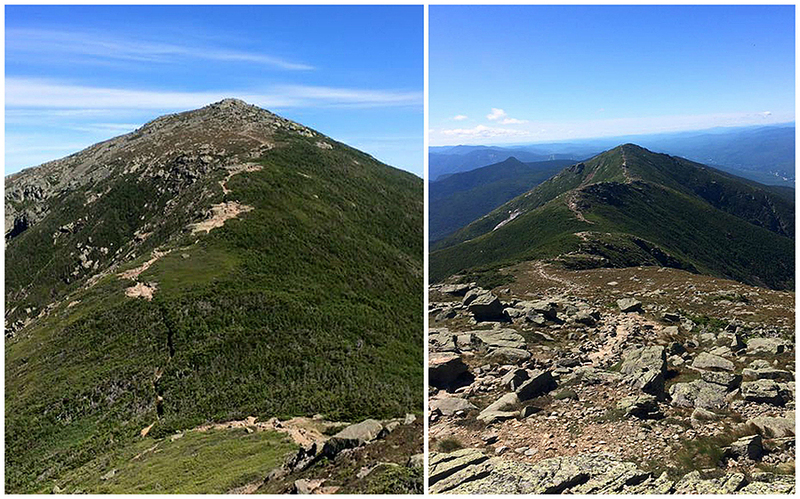 The climb up went five minutes faster than I expected so I was doing well and was happy to be greeted with outstanding views and a nice breeze before heading back into the woods along the Franconia Ridge Trail to Mount Liberty and Flume. 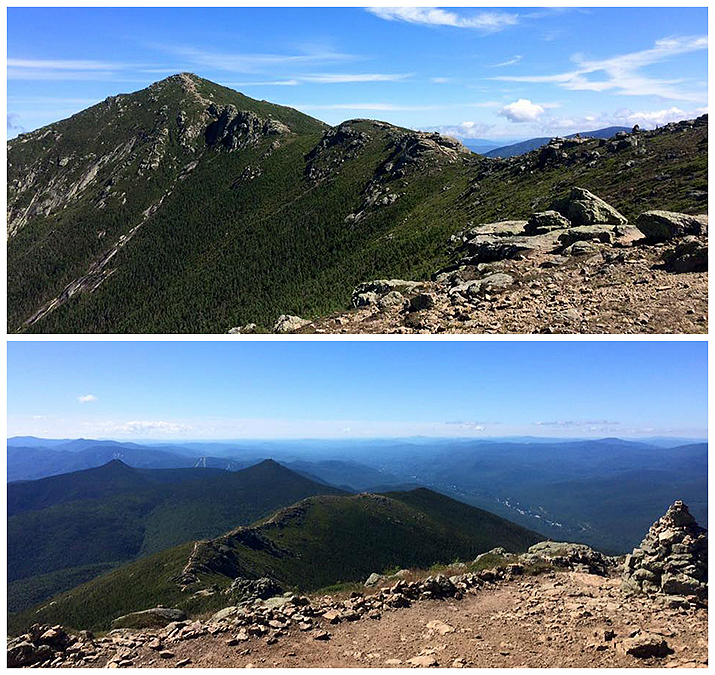 - From Little Haystack over to Liberty and Flume I was able to run at a very fast pace. I caught up to and passed Jeff, Kehr, Tim, and Kelsey. As I approached Tim, he said "I knew this was going to happen!" Two years ago during MMD on the descents I'd catch up and pass him, and on the ascents he'd catch up and pass me. If you could combine our two strengths we'd be a machine! 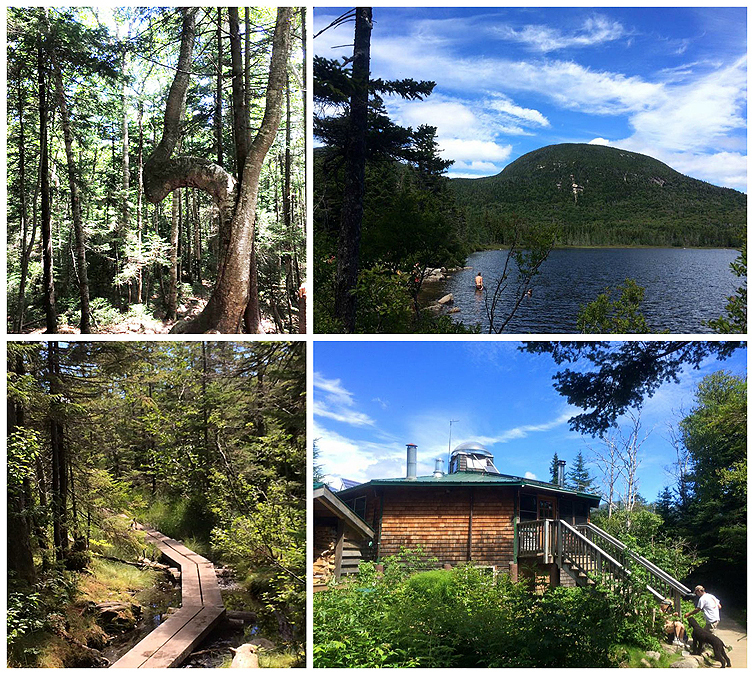 - Once past the summit of Mount Flume it was time for the steep and wild descent down the Flume Slide Trail. I am familiar with the Flume Slide Trail having ascending it a few times, but I had only descended it once before when it was covered in snow, where I did a fun and controlled snow slide down, so this was going to be interesting to say the least. I rock hopped the first portion of the slide until coming up on the 5 a.m. starters who were carefully navigating the not run-able sections. - I cautiously made my way down the slab and herd paths next to the slab. One of the runners took a nasty fall but was lucky to escape with a bump and some bleeding but nothing broken. After tackling the lower portion of the slide with Patrick and another runner I then went into full run mode. Below the slide the Flume Slide Trail has good to great footing and the last twoish miles to the Liberty Spring Trail junction can be covered quickly. - When reaching the Liberty Spring Trail junction I took a break since it was a water aid station that had been set up by the support team who had hiked in several gallons of water for us to refill. Many thanks to them for doing that and hiking all the empty gallons back out leaving no trace. - While I was taking a break, Tim and Kelsey caught up. Kelsey kept going while Tim stopped to take a break too. 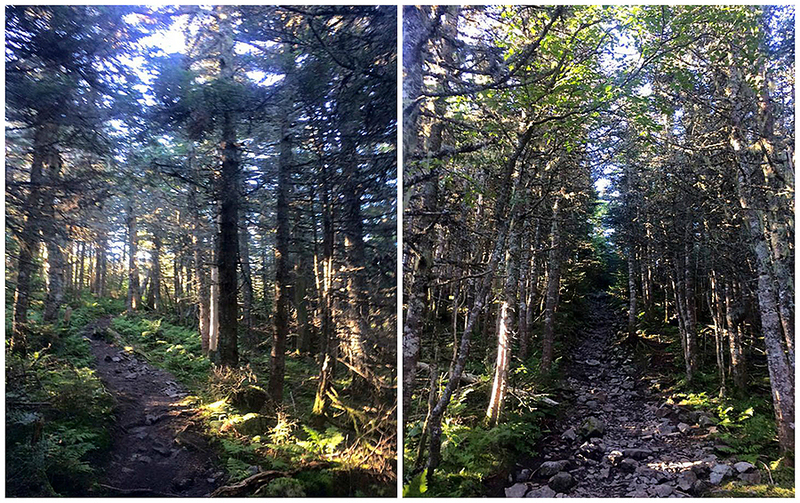 I soon headed off and did the next part of the trail with a random thru-hiker who was trying to hike the A.T. in under 100 days. While hiking with him, Tim came through and motored on ahead of me. The thru-hiker took a break at the water crossing and I continued ahead up what for me is one of the most boring trails in the White Mountains. I've never been a big fan of the Liberty Spring Trail, other than passing by the tent site I don't find anything interesting about it. - I took my time and moseyed up to the ridge making sure to conserve my energy. 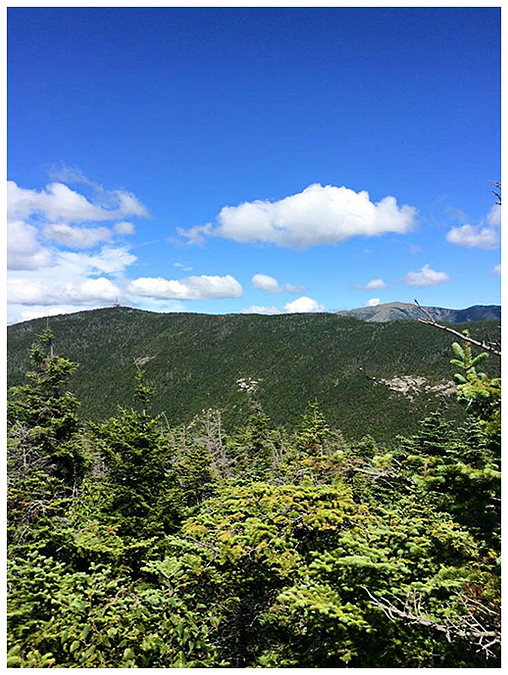 I passed by several day hikers and weekend warriors with big packs before gaining the ridge and heading north along the Franconia Ridge Trail. - As I was making my way back to Little Haystack, Andrew and Kehr caught up to me. 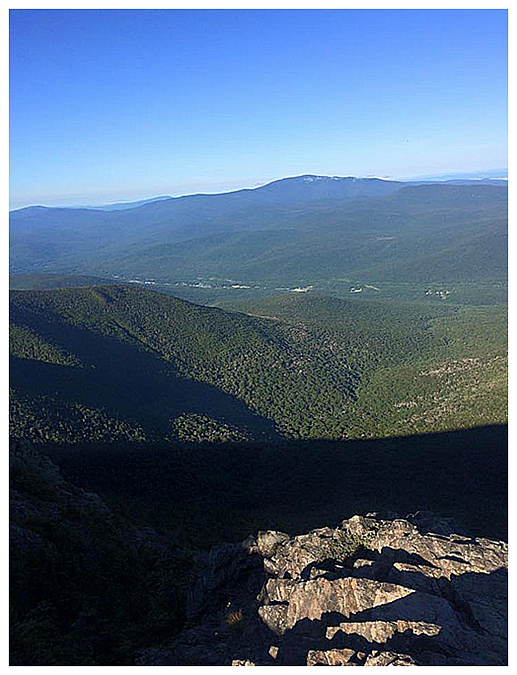 From here until Mount Lafayette we played leap frog along the ridge. 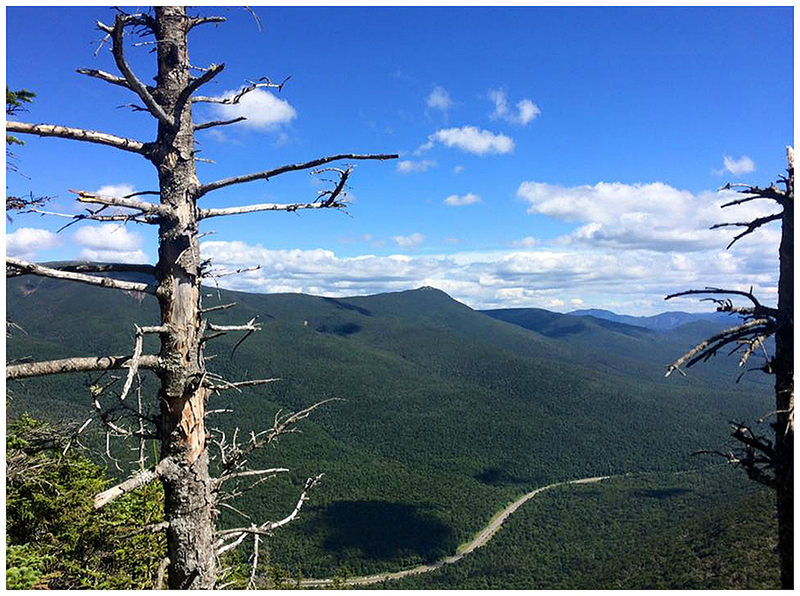 It was my 32nd and 38th time on Lincoln and Lafayette and like every other time it was incredible being so high up and able to look down below into the Pemi Wilderness to the east, and into the notch and across to the Kinsman Ridge to the west. 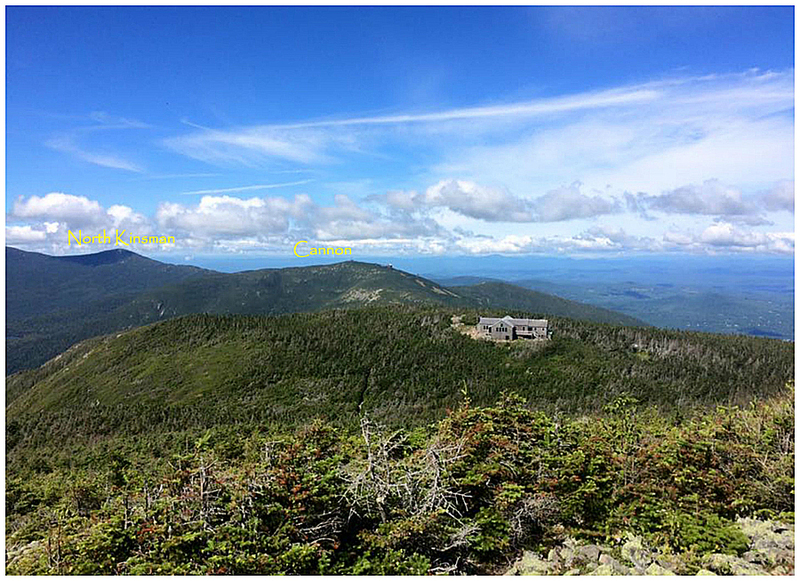 - Once hitting Lafayette's summit I turned on the after burners again and rock hopped quickly down towards Greenleaf Hut. Just before reaching the hut I caught up to and passed Tim as he headed into the hut for a quick break. I'm pretty familiar with the Greenleaf Trail and I was happy the route was going this way as it would avoid most of the crowds who use Old Bridle Path. 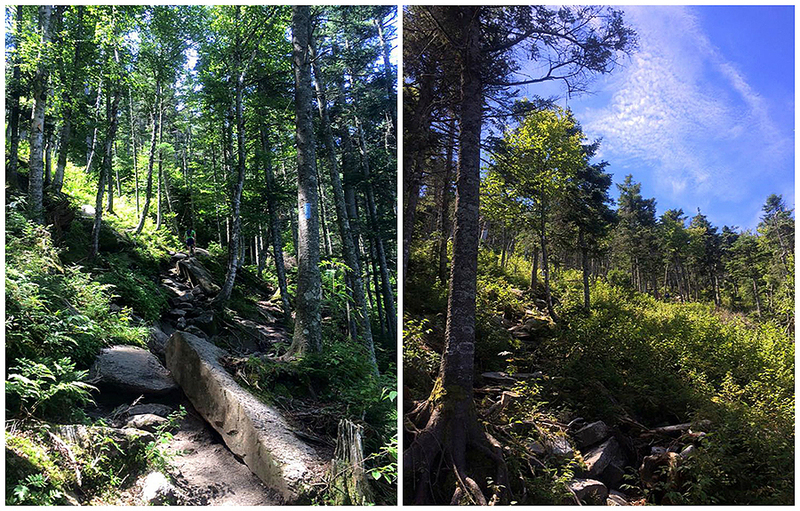 The upper section of this trail is filled with roots and rocks but once passing under Eagle Cliff the grades and footing ease up and you can open up your stride, or as much as one can in the mountains. 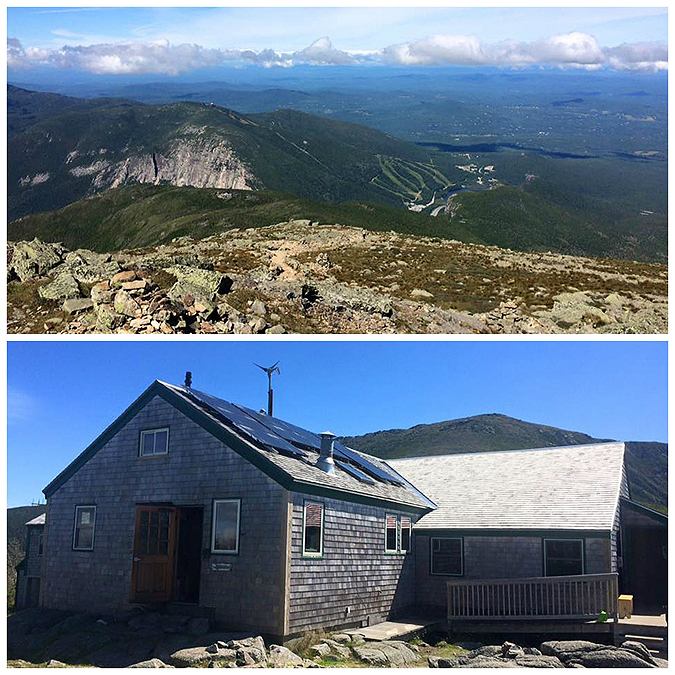 - I made quick work of the Greenleaf Trail and headed under I-93 and through the tram parking lot to the support aid station at the trailhead for the Kinsman Ridge Trail. Once again, huge thanks to the support crew who had tons of yummy food! Kelsey and Ben (Ben and another runner, Philip, started out like bats out of hell and would end up finishing one (Philip) and two (Ben)) were at the station when I arrived. Kelsey took off and Ben followed shortly after. I took a nice ten minute break to stuff my face with food (potatoes, donut, muffin, etc. ), along with soda and water. Tim showed up shortly thereafter and we then started the second half of the run up the steep Kinsman Ridge Trail to the summit of Cannon Mountain. 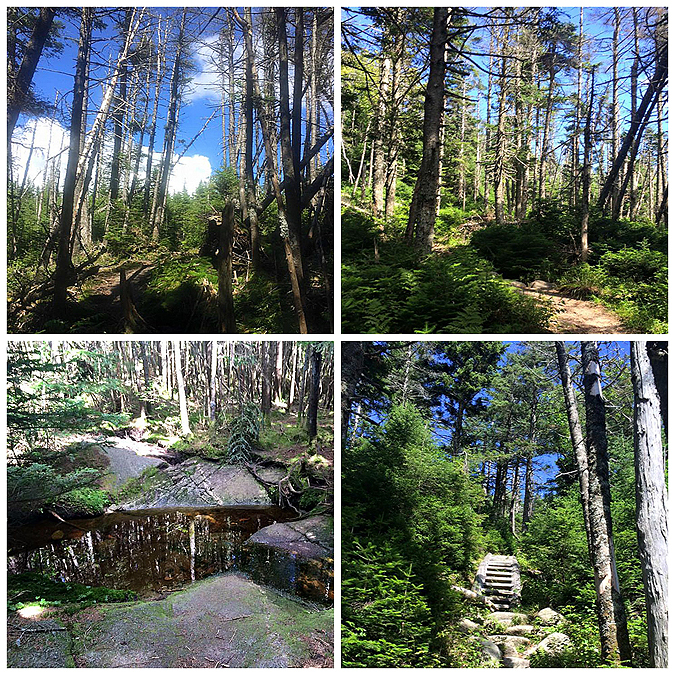 - If you're not familiar with this trail, it starts off with steep but ok footing for a few tenths of a mile but then it becomes a mix of nasty roots and rocks for over a mile. 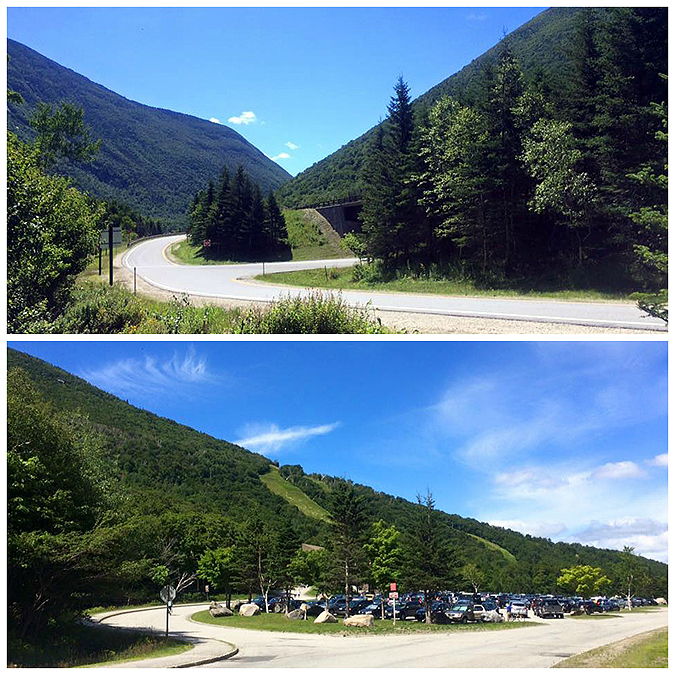 finally the grade eases out over the last half mile where there are several good views of Franconia Notch. 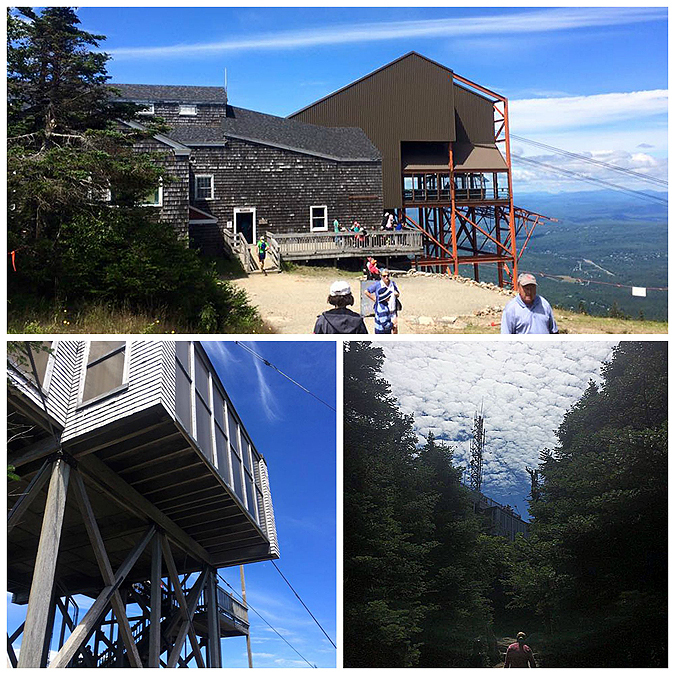 The summit area was an absolute zoo, Mount Washington like, with people who took the tram up milling around everywhere. - Luckily we only had to maneuver through the crowds for a minute or two before we dropped down to Coppermine Col. 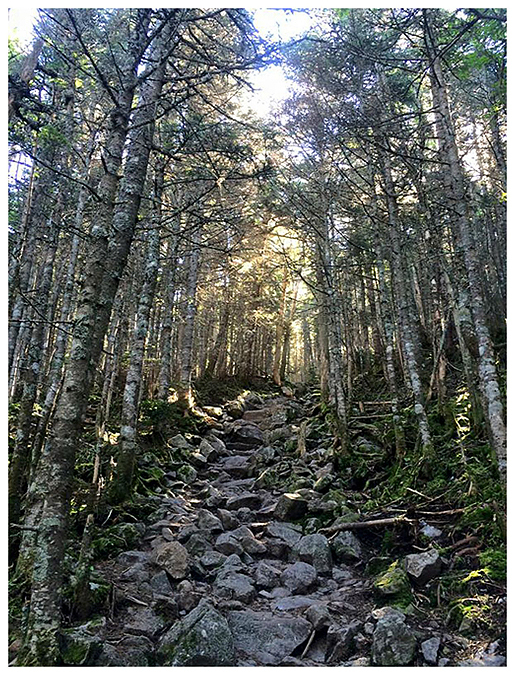 The descent down to Coppermine Col has a 0.4 tenth mile section that matches terrain found in the Northern Presidential Range as the trail steeply falls through roots and boulders where a fall would leave a hiker bruised and bloodied. 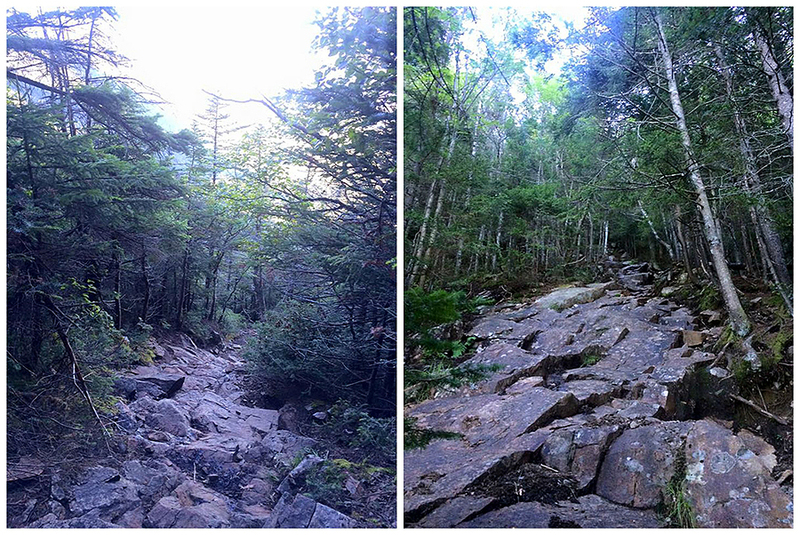 Tim and I carefully hiked down this tricky section before jumping onto the Lonesome Lake Trail. The Lonesome Lake Trail starts off a little crummy too, it's not steep but the footing is sub par for about a half mile before it finally becomes better. 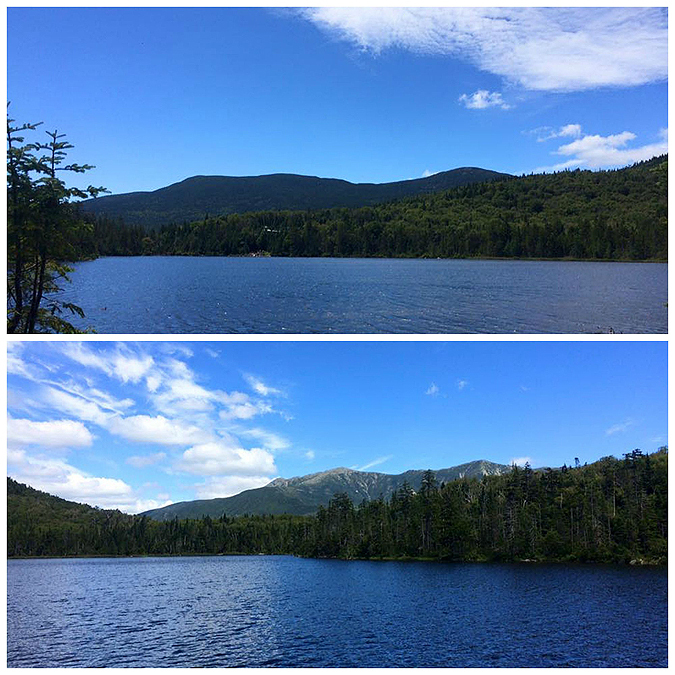 I went ahead of Tim and made my way down to the Dodge Cut-off and around Lonesome Lake to the hut. Tim showed up a minute or two later and we both took a short break before our final sustained ascent of the day up the Fishin' Jimmy Trail. As we were about to head out Andrew came strolling on in to take a break too. 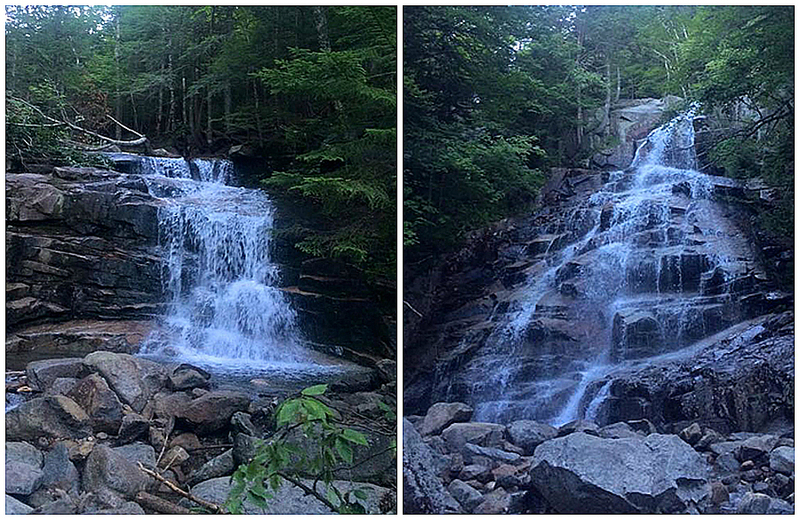 - The Fishin' Jimmy Trail is another trail that has a reputation of being lame, most hikers refer to it as the Fn' Jimmy Trail. It's about two miles long and not too thrilling of a hike. However, after all the trails that were traveled today it was on the tamer side. The first half of the trail is relatively gradual with some tiny PUDs mixed in. Once passing by a mossy brook crossing it becomes steep then levels off just enough for you to catch your breath before becoming steep again as it climbs to the ridge. 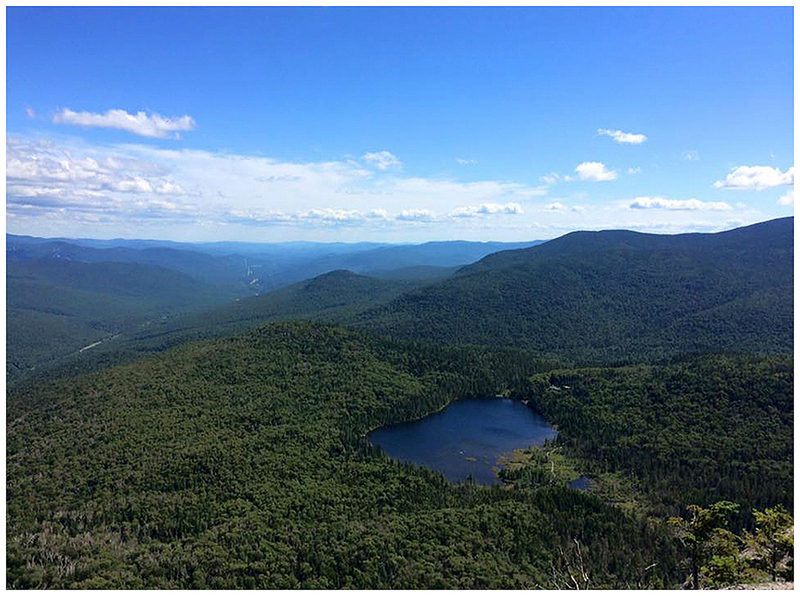 - I eventually made my way past Tim and kept up a steady pace to the Kinsman Junction where I headed south on the Kinsman Ridge Trail. 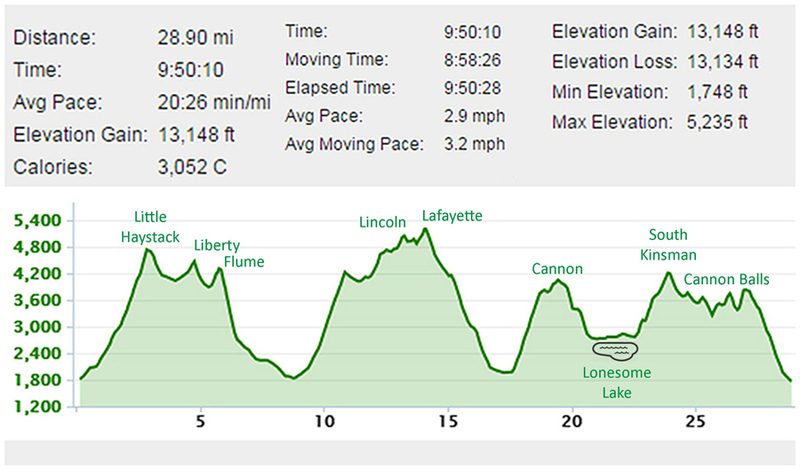 As I headed up, Kelsey and Ben were heading down, I was about twenty minutes behind them, I knew that was too much time for me to catch them but figured I could probably cut that time down in half on the remaining descents. 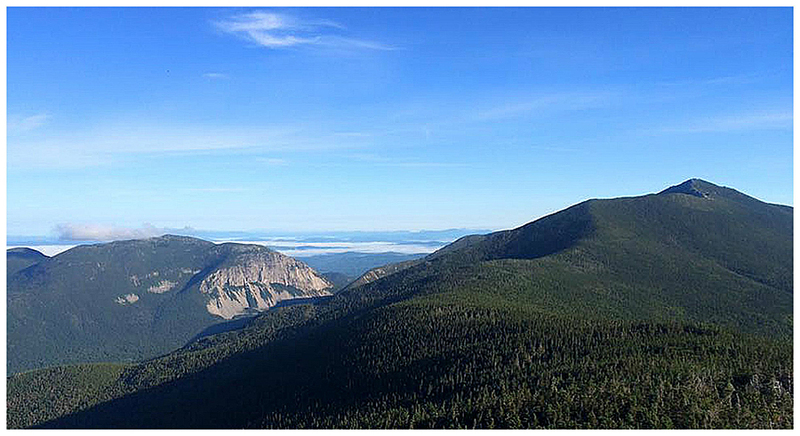 - From Kinsman junction to the summit of North Kinsman is about a half mile over a semi steep and rough trail. There is a nice downlook about twenty feet below the summit...yeah I skipped that, the thought of stepping down a few feet and going back up at that point in the day, when not necessary, wasn't happening! 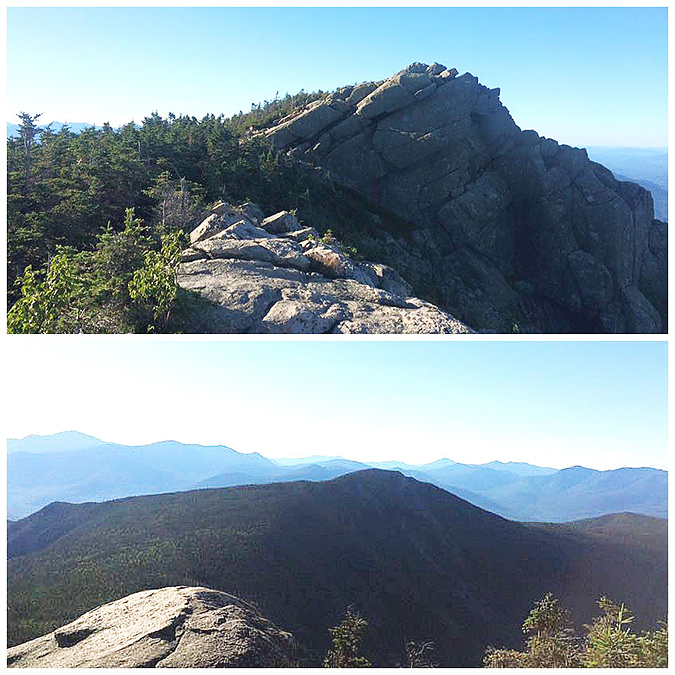 - Now it was off to do the Cannon Ball run over the PUDs of the sub-peaks of Cannon Mountain. But first it was back down to Kinsman Junction where I ran into Tim, who was thrilled to find out that he didn't have to go over South Kinsman to get to North, then I ran into Andrew and Kehr a few minutes behind him. I also bumped into Franco who was out hiking and enjoying the day, always nice to see him, sorry I couldn't stop, I was being chased!! 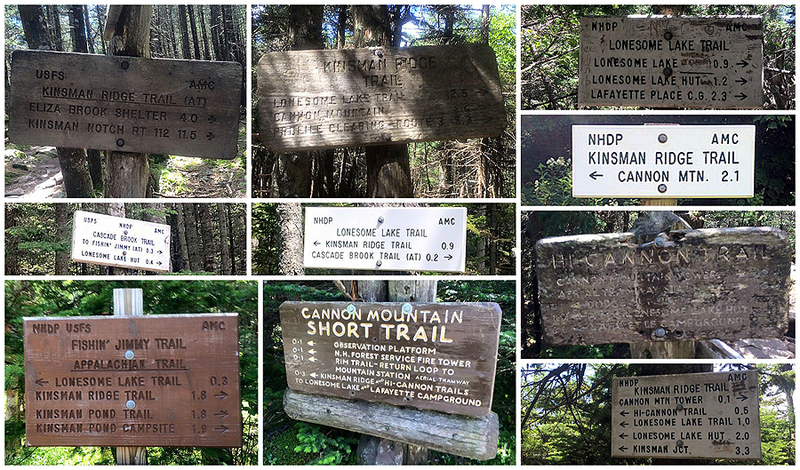 - Once back at Kinsman Junction I stayed on the Kinsman Ridge Trail through the Cannon Balls. This is where throttling down earlier in the day came in handy for the final stretch of up and downs along the Cannon Balls back to Coppermine Col. I made quick work of the Cannon Balls keeping a steady pace on the ups and a quick jogging pace on the downs through the rough terrain. When I made it to Coppermine Col I had one last up, 0.4 miles of the presi type root and boulder terrain up to the junction of the Hi-Cannon Trail. 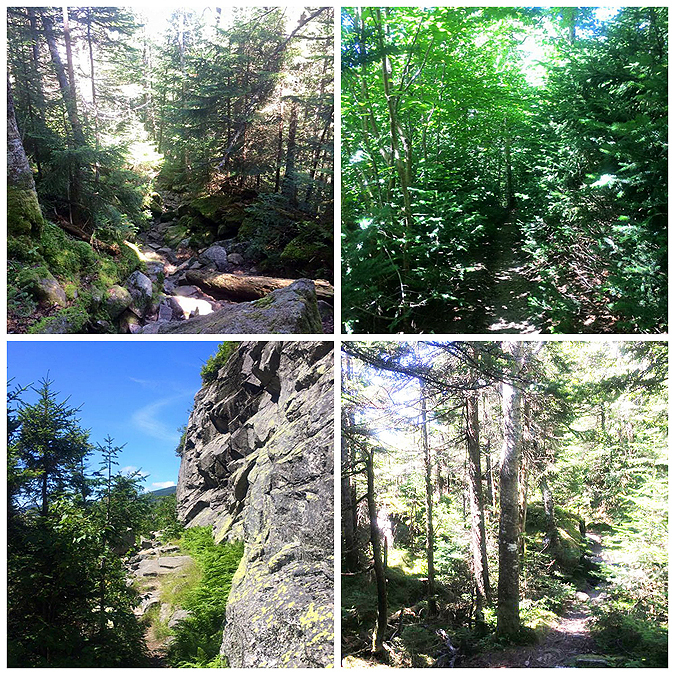 I methodically made my way up and over the roots and boulders and felt slow but strong. 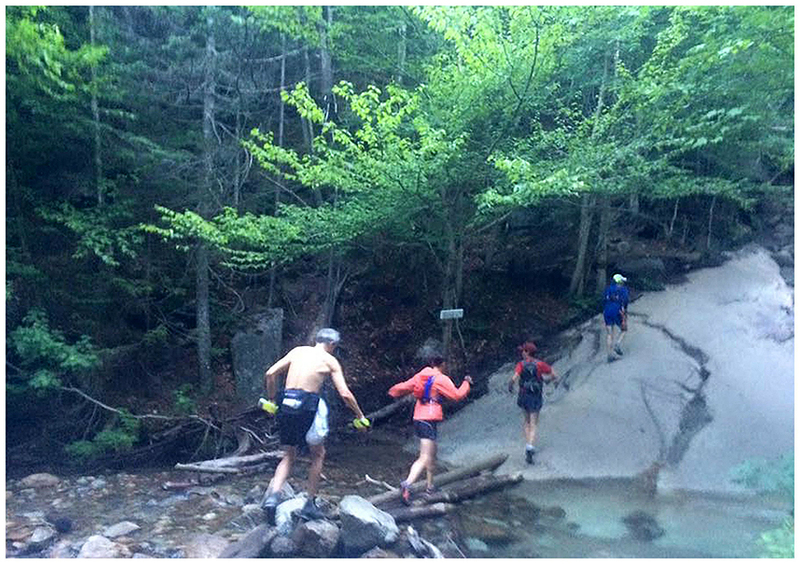 I ran into Patrick again as he was heading down and out via Lonseome Lake Trail with two other runners for the 'fun run' version of MMD, it's just a couple miles shorter than the full 50K. 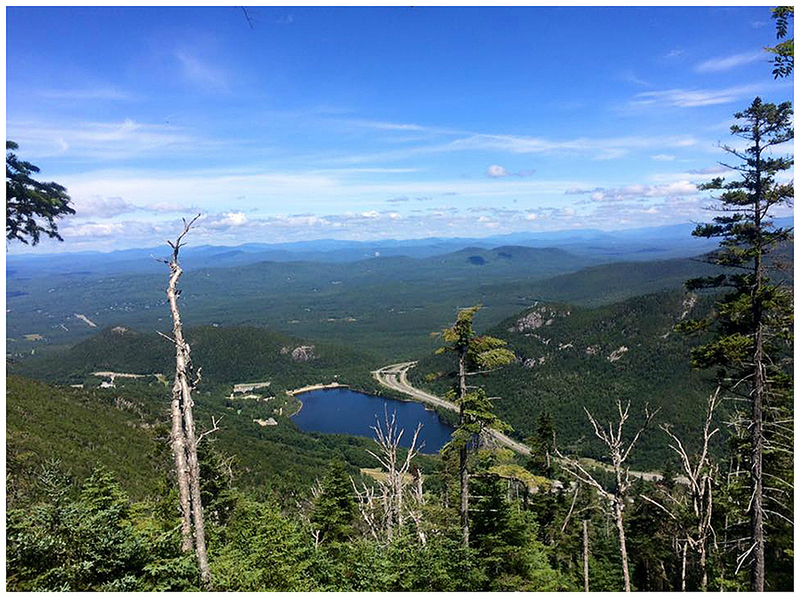 - Once I made it to the Hi-Cannon junction I smiled, took a deep breath, and motored my way down to the campsite, making sure to get a good picture from the outlook that overlooks Lonesome Lake and more importantly not killing myself on the steep and fast descent. Finally after all the miles covered I was rewarded with great footing for the last mile (dirt and some switchbacks over a nice grade). 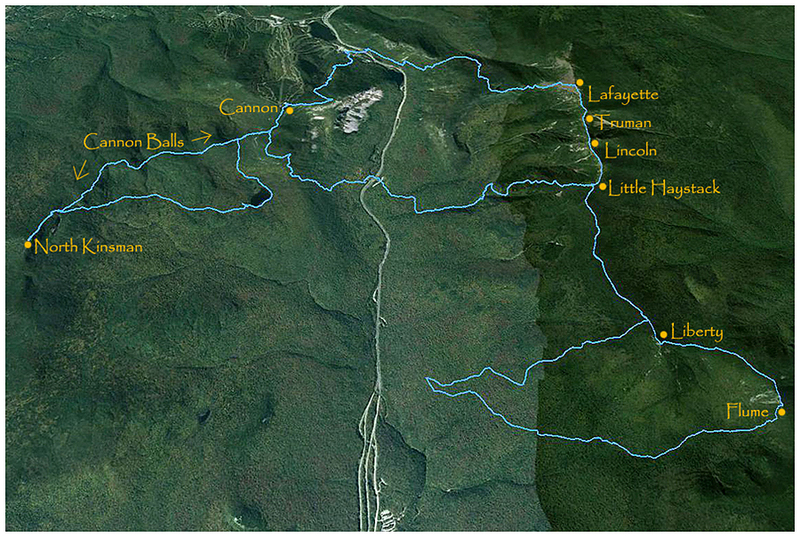 - The final 0.4 miles of the route hooked back onto the Lonesome Lake Trail and through the campground to the finish line at the picnic area next to the hikers parking lot. I was thrilled to be done, coming in 4 out of 34 who started and the 20 who completed the whole 50K route. I was most proud of doing it in sub ten hours at 9:50. I had set a goal of a sub 11 hours so I was ecstatic at my time. - Just like my Hut to Hut run a month before I felt strong and healthy through the whole day. I made sure to stay well hydrated with water and an electrolyte drink along with gummies, gels, shot blocks and stinger waffles. 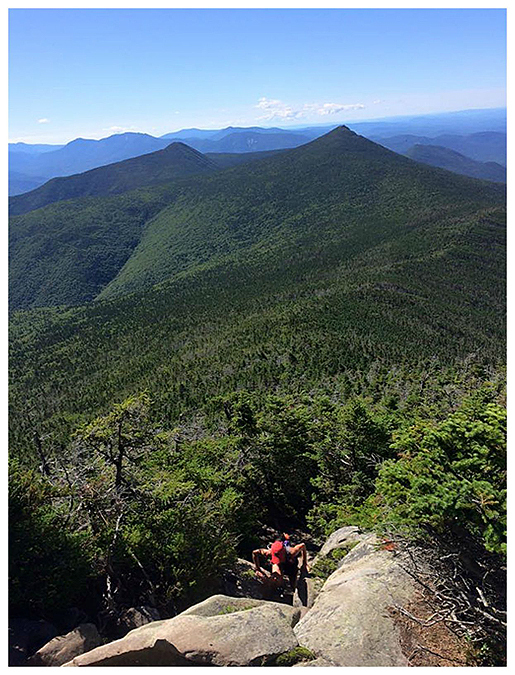 I did not feel as sore during this as I did with the H2H run but the super steep ascent up Kinsman Ridge to Cannon was rough as I reached a limit as to how fast I could hike without cramping up my quads. 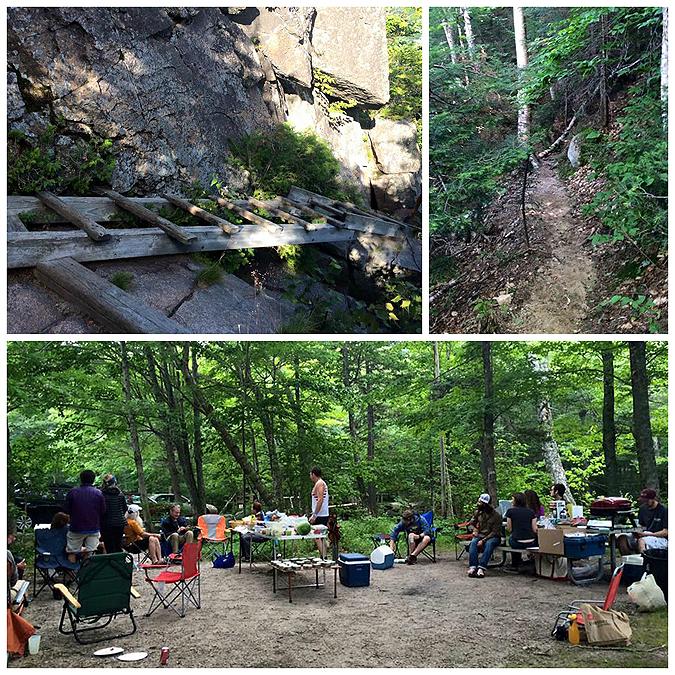 - After the run, I took a shower and stuffed my face at the BBQ at the picnic area as other runners came in. Tim came in at 10:03, just nudging out Jessie at 10:05, Andrew and Kehr came in together at 10:15. After that runners came in from all different miles and times until around 9 p.m. The winner, Philip, came in at 9:05 follwed by Ben at 9:39 and Kelsey at 9:42. 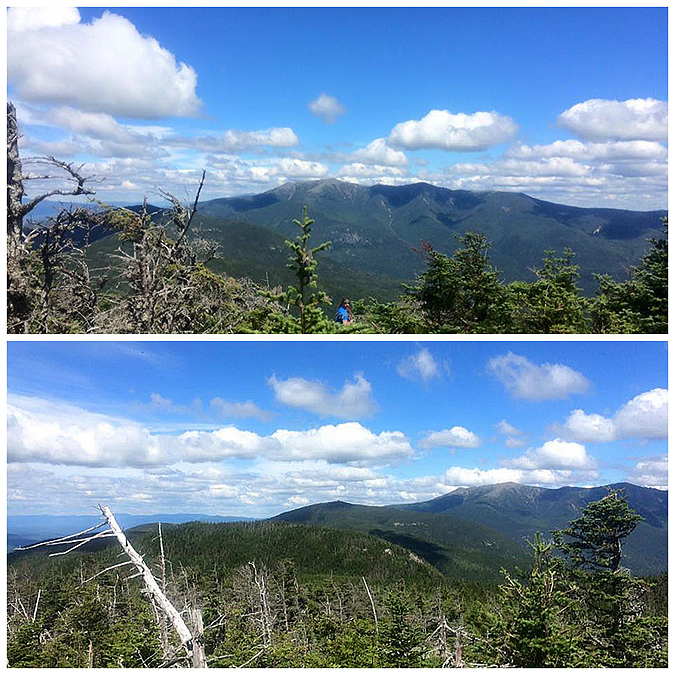 - All in all It was an excellent day running, hiking, and suffering in Franconia Notch! Breaking out above treeline on Little Haystack. 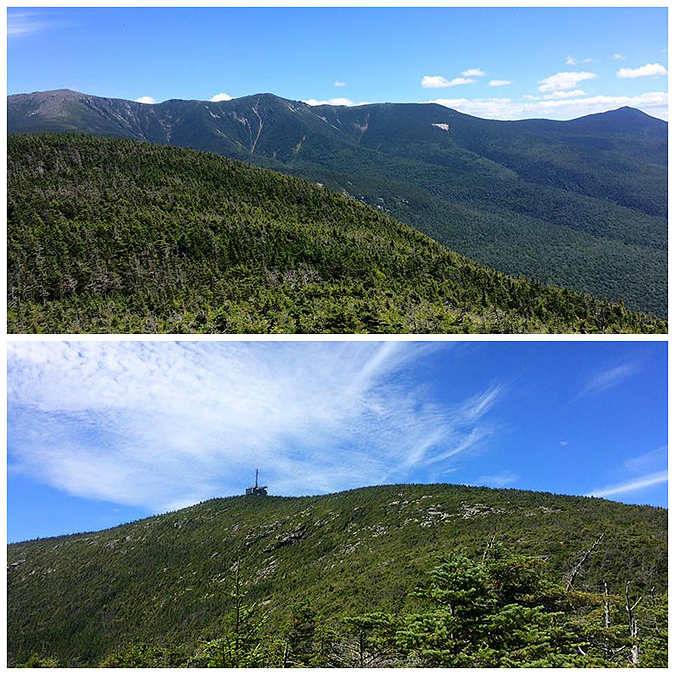 Looking to the west at Kinsman Ridge and down to the start of the run (top). 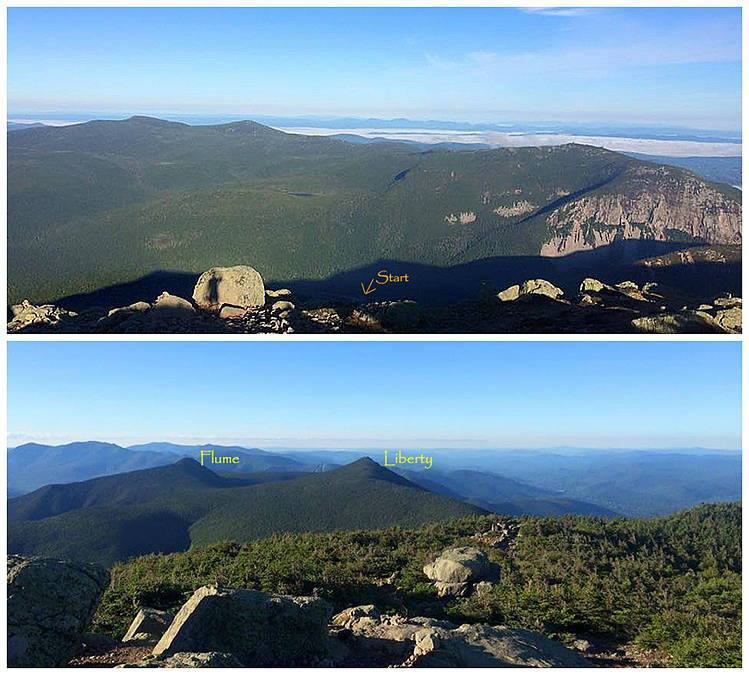 Looking south to the next two destinations, Mount Liberty and Flume (bottom). Tim leads the way up the Fn' Jimmy Trail! The last two miles to the picnic area finish!! I don't know how you can run that fast over those trails AND take so many wonderful pictures documenting it! Glad you liked the pictured, Joel! As for the pictures, I use my iPhone which is stored on my shoulder strap so it's easy for me to access it and quickly take pictures. The only downside is the iPhone's zoom is awful so I can't get great shots, but, the non zoomed pictures come out just as well as any decent digital camera. Epic!!! Fantastic job to you and everyone who participated. You guys boggle my mind...great job! Awesome post and the pictures are really good too. 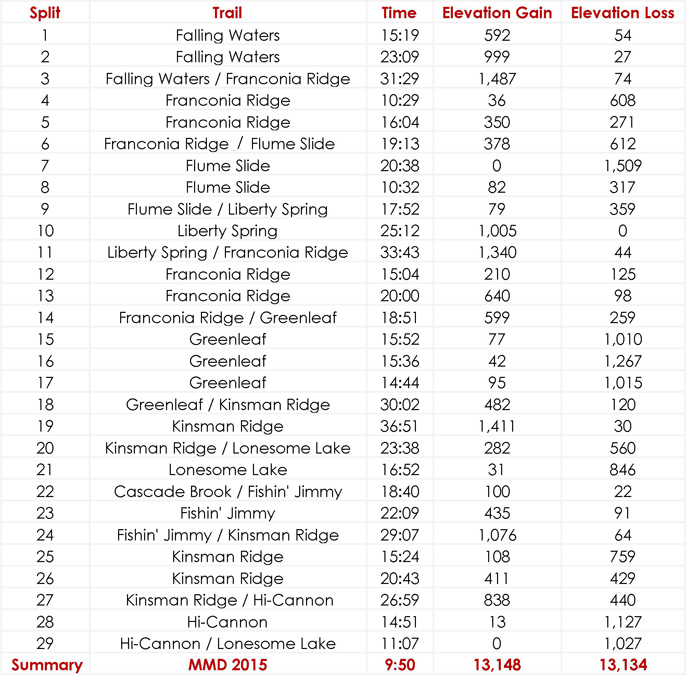 How difficult was the upper part of the Flume Slide trail? I went up that last year and not sure I would want to hike down it. Hi Matt, I had no difficulty, I just used caution up top. 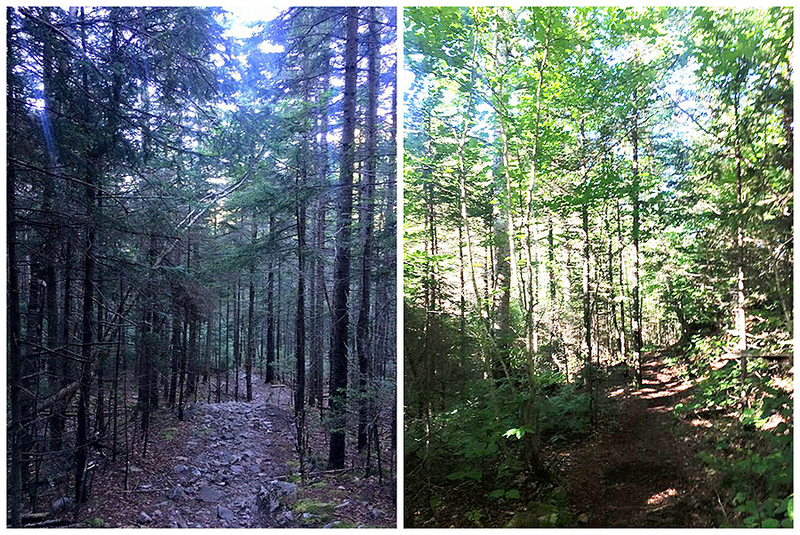 However, I've been on a bunch of slides and feel comfortable navigating all trails in the Whites that deal with slides. Chris, I hope my comment about hiking down the slide didn't come across wrong, I apologize if it did. 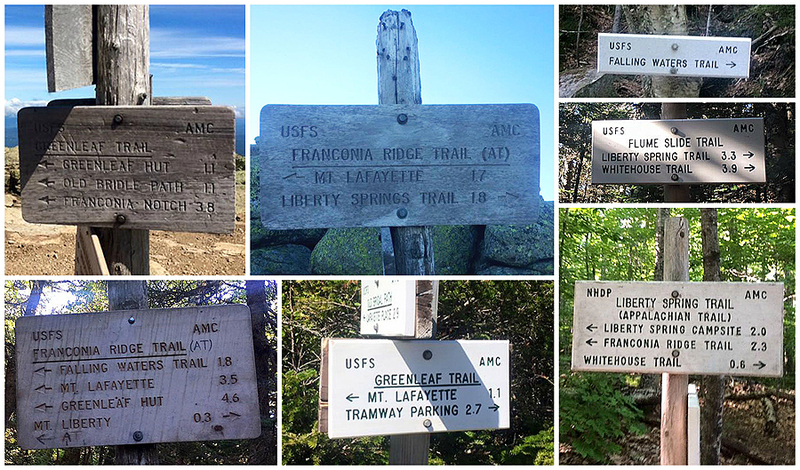 Have a great rest of your summer hiking!